5 звезди Това е място за настаняване на Предпочитан партньор. То се ангажира да предоставя на гостите позитивно изживяване благодарение на препоръчаното си обслужване и добра цена. Това място за настаняване може да плаща на Booking.com малко повече, за да бъде част от тази програма. 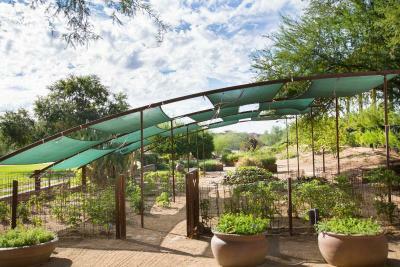 Възползвайте се от невероятна цена за JW Marriott Phoenix Desert Ridge Resort & Spa - с оценка 8.9, дадена от скорошни гости. The TV is good. I like the different content. And the room space is Also good. I had a great time though it was burning hot in June. The pool area is fine and has much to offer as has the whole hotel. Aircon was not all too harsh on us although some women needed to go outside sometimes to warm up. Excelent service at the registration desk and housekeeping. Perfect room which was not such a vast space where one person gets lost as other Marriott hotels sometimes offer. 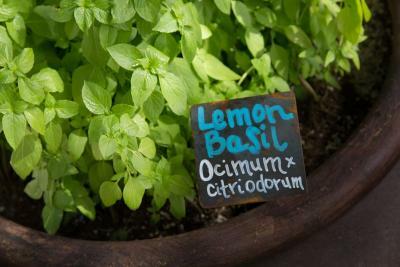 Good (bath) amenities and extra's and a good variety of restaurants. Very good breakfast. Also the facilities and the location are excellent. Es handelt sich hier um ein Resort, dass alle Wünsche abdeckt inkl. Golfplatz und eigenem Spa sowie mehreren Pools und Restaurants. Es besteht also keine Notwendigkeit, das Hotel zu verlassen, obwohl in ca. 10 Gehminuten eine grössere Mall mit den typischen amerikanischen Geschäften auf Besucher wartet (inkl. Kinos). Das Hotel selbst wirkt sehr gepflegt. Schnell und gut vom Flughafen aus zu erreichen. Beautiful and well kept. Pleasant staff. Comfy beds. Spacious bathrooms. Lovely holiday decor. Letter to Santa station where kids write and mail their letters and the next day a cute reply from the big guy arrives at your room - nice touch! Bed and pillows very comfortable. Bathrooms were large and very clean. 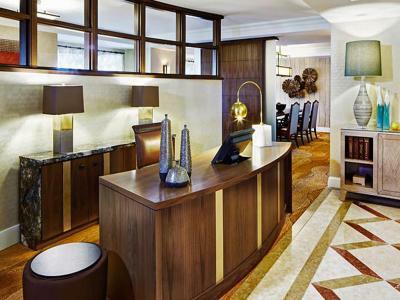 Good in restaurants excellent and all hallways and lobby areas very large and open. Едно от най-популярните ни места за настаняване в Финикс.This hotel is situated in the center of the Sonoran Desert, less than 30 km from downtown Scottsdale. 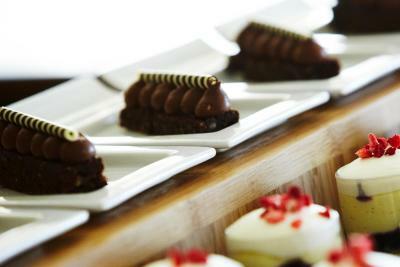 It boasts 2 golf courses, and offers air-conditioned rooms with scenic views. 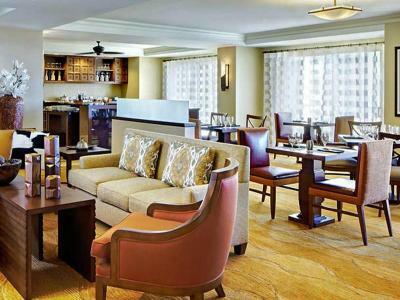 Rooms at the JW Marriott Phoenix Desert Ridge Resort are spacious and include a seating area. 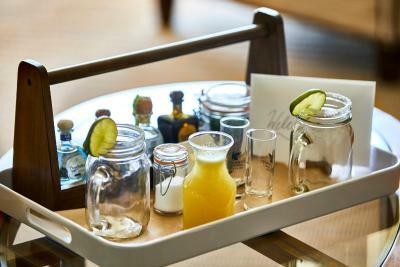 They come equipped with cable TV, a coffee maker and minibar. Some rooms have balconies. 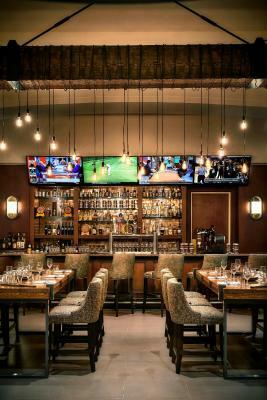 The JW Marriott Phoenix features 5 restaurants that serve a variety of American and international cuisine. The hotel has an on-site Starbucks and provides free WiFi in public areas. Guests of the hotel can enjoy the 5 swimming pools and waterslides. 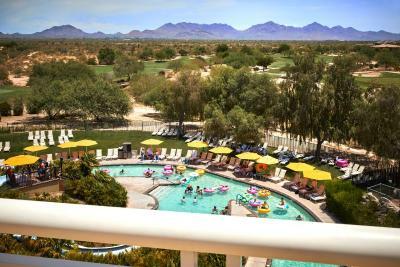 The Desert Ridge Resort also boasts a spa with a lap pool, and a fitness center. 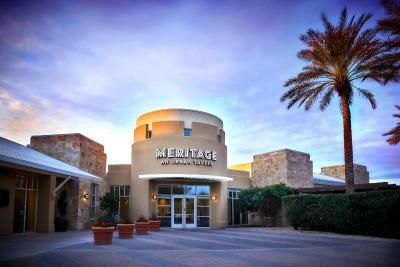 The JW Marriott Phoenix Desert Ridge Resort is less than 37.6 km from Arizona State University-Tempe campus. 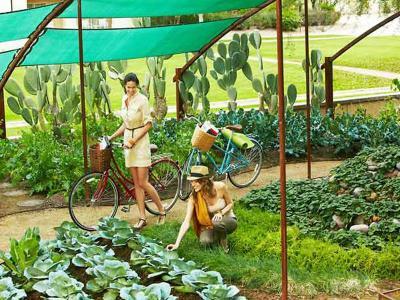 Nearby leisure activities include biking, miniature golf and hiking. Desert View е прекрасен избор за хора, интересуващи се от голф, пустини и Пазаруване. 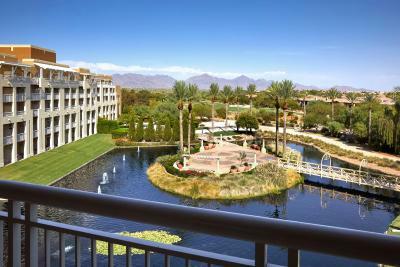 JW Marriott Phoenix Desert Ridge Resort & Spa посреща гости на Booking.com от 1 юни 2011 г..
Кога бихте искали да отседнете в JW Marriott Phoenix Desert Ridge Resort & Spa? 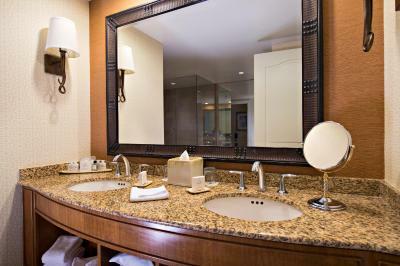 This room provides a flat-screen cable TV, an iPod docking station and an en suite bathroom. Частен паркинг е достъпен на място (резервация не е необходима) и цената е USD 10 на ден. Equipped with a balcony offering panoramic views. 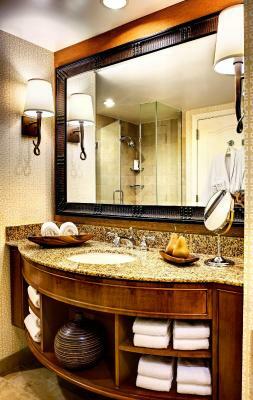 This spacious suite provides a flat-screen cable TV, an iPod docking station and an en suite bathroom. 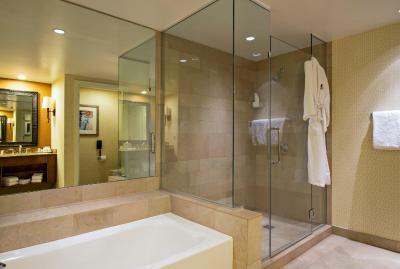 This two-bedroom suite provides a flat-screen cable TV, an iPod docking station and an en suite bathroom. This room also provides a flat-screen cable TV, an iPod docking station and an en suite bathroom. 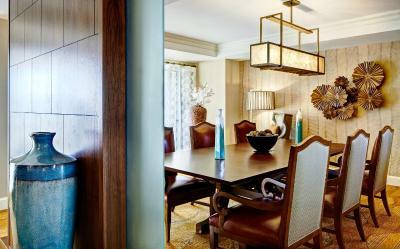 This room features lounge access to the JW Griffin Club for 2 featuring complimentary food, a hot buffet breakfast, midday snack, hors d'oeuvres, dessert, late night snack, complimentary cocktails, complimentary non-alcoholic beverages, and complimentary business services. Featuring a balcony with a resort view, this suite provides a flat-screen cable TV, an iPod docking station and an en suite bathroom. Тази стая с двойно легло/2 отделни легла разполага с балкон, кът за сядане и телевизор с плосък екран. Този суит разполага с балкон, климатик и сателитна телевизия. Околност – Този квартал е прекрасен избор за пътешественици, които се интересуват от голф, пустини и Пазаруване – Проверете местоположението Чудесно местоположение - показване на картата Гостите обичат да се разхождат из квартала! 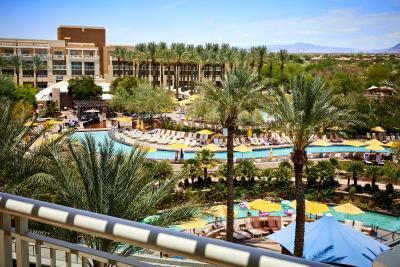 Важна информация JW Marriott Phoenix Desert Ridge Resort & Spa приема специални заявки. Добавете ги в следващата стъпка! 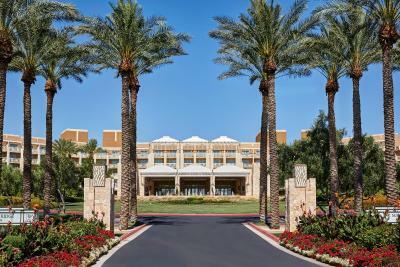 JW Marriott Phoenix Desert Ridge Resort &amp; Spa приема тези карти и си запазва правото да блокира суми от вашата карта преди пристигането ви. 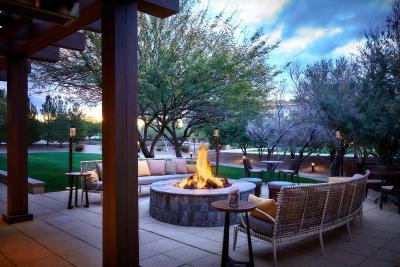 JW Marriott Phoenix Desert Ridge Resort & Spa приема тези карти и си запазва правото да блокира суми от вашата карта преди пристигането ви.